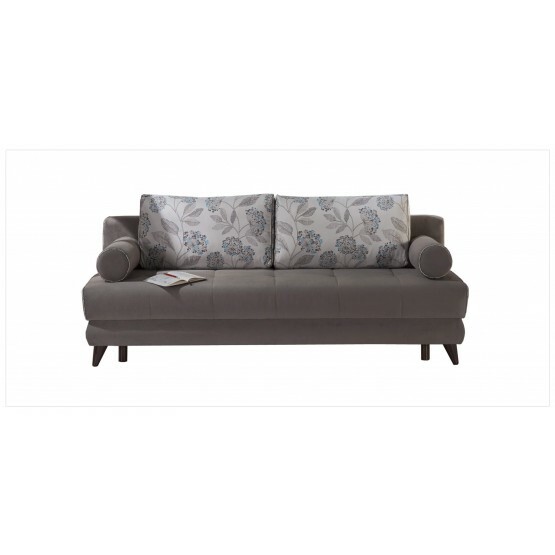 Welcome Stella sofabed into your home for comfort and style. The cylinder armrests are cushiony pillows that can be removed for added sitting. Sit back and relax right with sink into back cushions. The super comfortable sofa easily turns into a bed for two, with large storage underneath. Soft shades of light brown perfectly matched with floral pattern add charming country flair to your living spaces. Superior frame construction. Practically effortless operating mechanism. Rust and corrosion resistant galvanized mechanism and fitting parts. Contemporary upholstery with exclusive tailoring and fine detailing. W83.2" x D38.7" x H35"